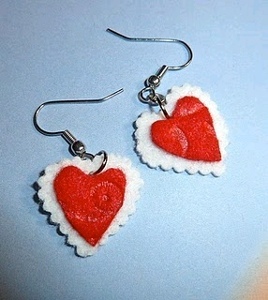 These heart felt earrings are the perfect way to accessorize for Valentine's Day! 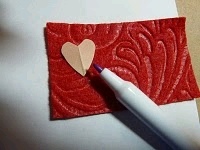 Try these romantic Valentine's Day crafts for yourself. See this project and more in 12 Amazing Valentine Hearts to Craft + 5 New Heart Crafts! 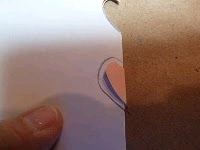 Fold a piece of paper in half and on the fold, draw a half heart shape a little less than ¼” at the widest point. 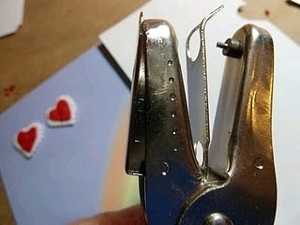 (See photo) Cut out. 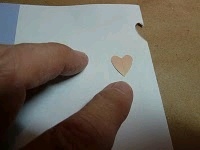 Small heart pattern made. 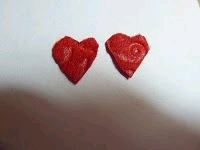 Open the smaller heart pattern and place onto the red embossed felt and trace around. Cut out. Repeat for two hearts. 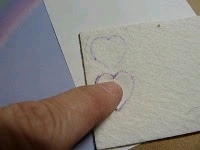 Using the larger heart pattern trace onto the stiffened white felt. 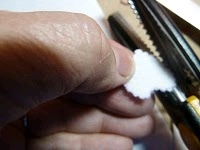 Cut out with small scalloped paper edgers. Repeat for two hearts. Using the cuticle scissors reposition the pattern back the red felt heart and using the pattern as a guide trim up any raw or uneven edges. Repeat for other red felt heart. 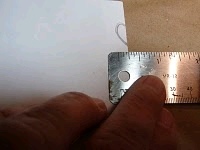 If you have cut it out neatly this step may not be necessary. 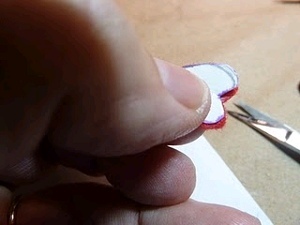 Spread some tacky glue onto the back of the red felt heart and attach to the center of the white stiffened felt heart. Repeat for second earring. 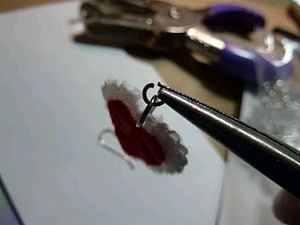 Make a hole with a tiny hole punch or darning needle at the center of each heart. 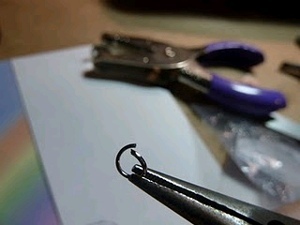 Using a needle nosed pliers, open the larger jump ring with a twisting motion and thread it into the hole you just made at the top center of the heart. Close the jump ring twisting in the opposite direction. 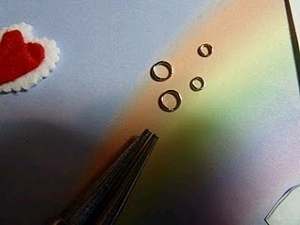 Open the smaller jump ring in the same way. Attach to the large jump ring adding the fish hook ear wire as well. Make sure the ear wire is facing in the proper direction. Twist it closed. Repeat for other heart. 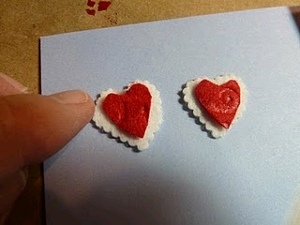 Note: If you would like post type earrings, do not punch a hole in the center of the hearts and simply glue on post earring findings to the back of the hearts.